Description: A short video explaining some of the art and science that goes into LAIKA films. Source: LAIKA Studios’ YouTube channel. 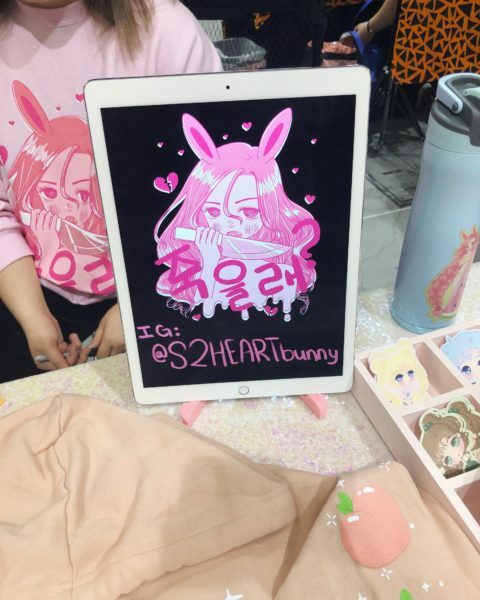 Guest post by our sponsor, MoPOP. 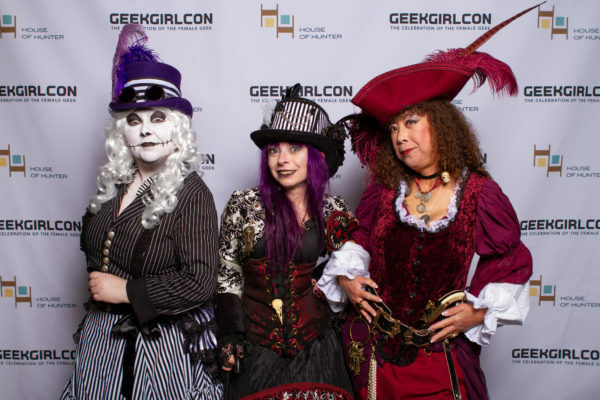 We at MoPOP look forward to GeekGirlCon every year. And this year is no exception. 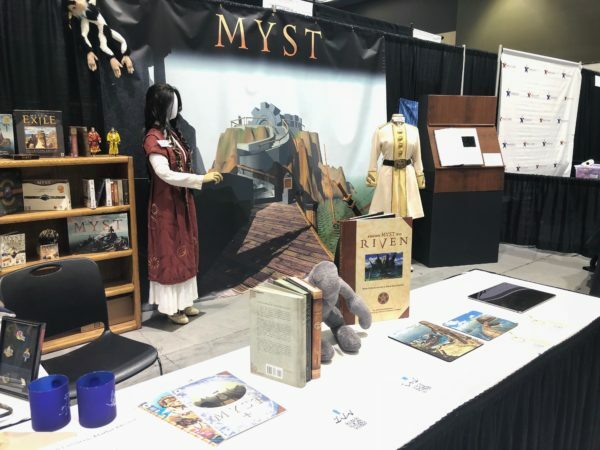 We’ve got our panel guide planned, our cosplay laid out, and MoPOP booth prepared for you to come visit. 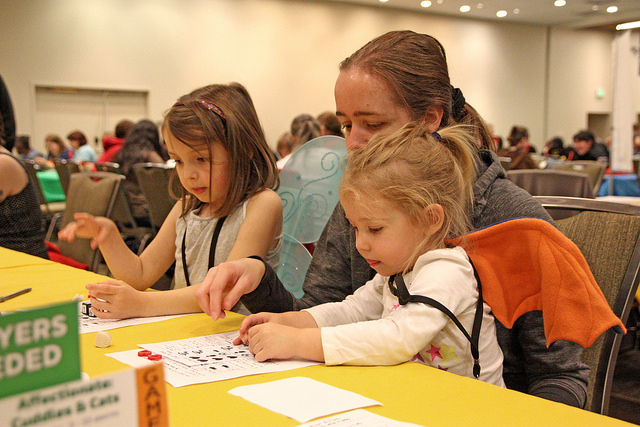 When we were asked to write a piece for the GeekGirlCon blog, we got excited! But what to write about? 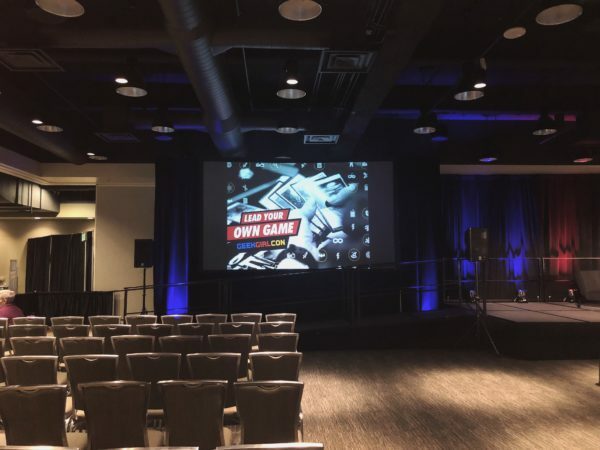 There are countless topics we could have tackled, but when we got down to it, we thought it might be nice to pull back the curtain and introduce you to just a few of the many people who populate the world of MoPOP. If you see them around the Con (or the museum or Seattle), feel free to say hi. Your passes are ready, the hotel is booked, and your costumes are coordinated. 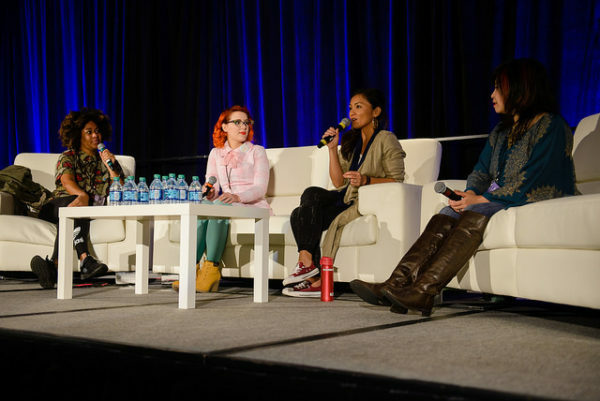 With the convention just under two weeks away, you might be wondering what else you can do to prepare for #GGC18. Well, last night we launched our third annual fundraiser tee! 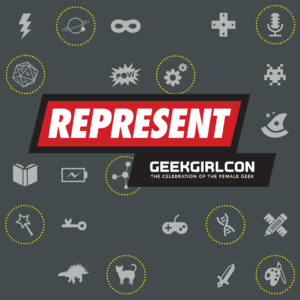 Represent like a geek, and support your favorite convention! Available in both straight cut and fitted sizing, all tees are 25$! Our goal is to sell 50, and the fundraiser will be running over the next 14 days (until October 28th). The tees will be sent directly to you after the fundraiser concludes. 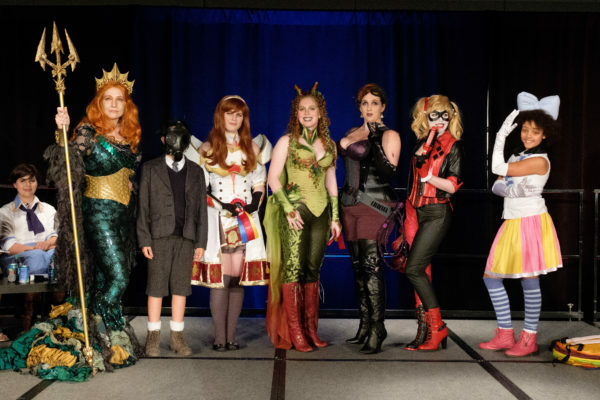 Get ready to represent, and we’ll see you at GeekGirlCon 2018! Update as of October 18: Due to a miscommunication with CustomInk, some extended sizing of the fundraiser shirts cost an additional $2.50 – $6.50. If you have purchased a shirt 2XL or larger, you will be automatically reimbursed for the additional cost. Source: Lysa Chen. 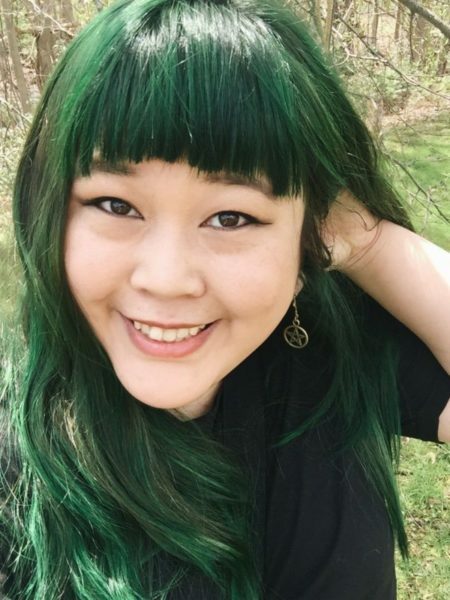 Description: headshot of Lysa rocking green hair. Lysa Chen has designed Dungeons & Dragons adventures for Wizards of the Coast and the Adventurers League. She is distinguished as one of the Dungeon Masters Guild’s premier Guild Adepts. We’ve been enamored reading all of your ideas for the Name Our Avatar contest and your creativity continues to amaze us with each entry. If you haven’t had the chance to submit your idea yet, never fear! You still have a few more days to submit your name and a brief backstory online now. Submissions for the Name Our Avatar Contest close on Monday, October 1st at 11:59 PM PST. 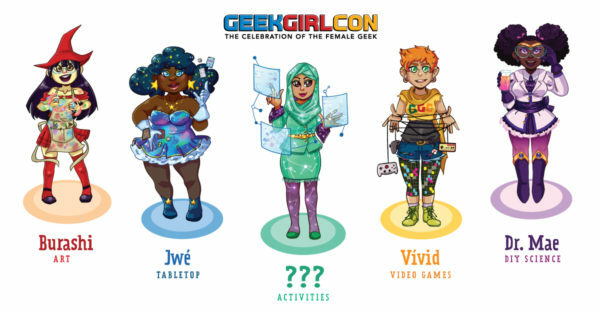 For more information on the rules, prizes, and the origin of the GeekGirlCon avatars, take a look at our prior blog post about the contest. We look forward to announcing the winner in the coming weeks, and we’ll see you at GeekGirlCon 2018 in 28 days!